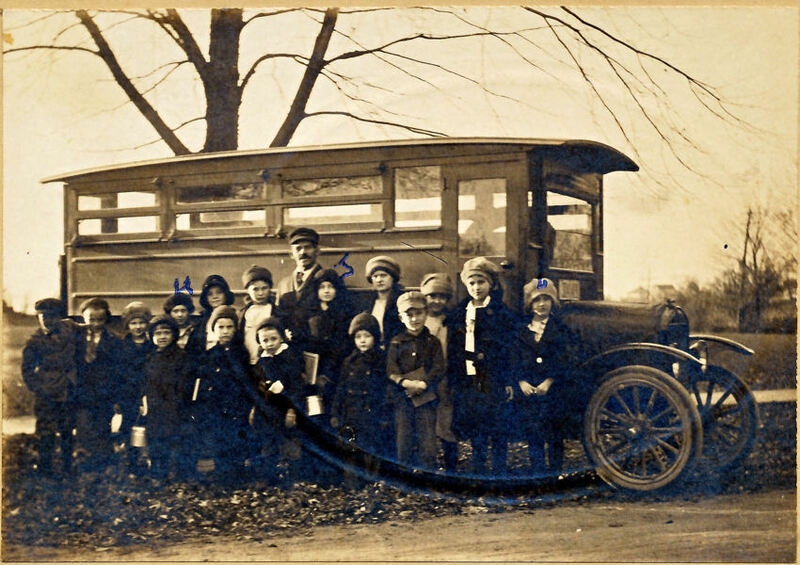 The photo is of a school bus (aka a "school hack") in Clay Township circa 1920. Included among the children are Miram Joyce Burgess born 1911 (indicated by a "J") and her sisters Helen Burgess ("H") and Lois Burgess ("L"). If you can identify anyone else in the photo, please contact Lisa Larimore (jazzdans@comcast.net).